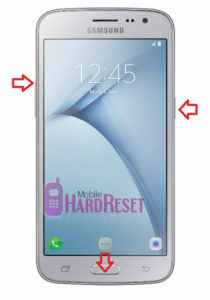 Bypass Google FRP Samsung Galaxy J2 Pro without PC, and Flashing with Odin, This is latest 2018 method, just enable Talkback and Bypass Google Account. 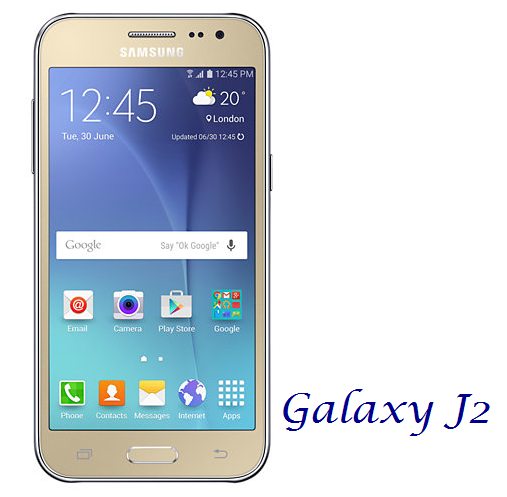 Follow below steps carefully to Bypass Google Account Galaxy J2 Prime, in this method we will use �Talkback�, this is the latest method to remove factory reset protection from Samsung galaxy J2 Prime smartphones, and this method would work perfect on your j2 prime. 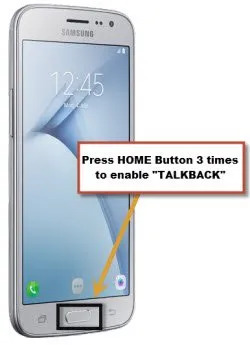 Press �HOME BUTTON� 3 times quickly to turn off TalkBack. After the notification appears,tap on �BACK ARROW� 3 times until you reach �Settings� screen from top left corner. Swipe up and tap on �USER MANUAL�. This also works when the screen is off, letting its user turn on the camera quickly before they miss the movement. To use this feature, the user needs to turn on this from camera settings.